The Cruise Examiner for 5th January 2015... .. Recent months have seen many announcements from Cruise & Maritime Voyages so this week we have a quick look at their successes of the past year. Meanwhile, on the other side of the Atlantic, Ponant has announced its acquisition of small ship operator Travel Dynamics International of New York. And finally, in anticipation of an expected “big announcement” from Crystal Cruises today, rumours originating from Germany that Crystal was about to buy the Deutschland have been denied. Last week, the Passenger Shipping Association delivered its final set of annual UK cruise statistics before becoming CLIA UK. 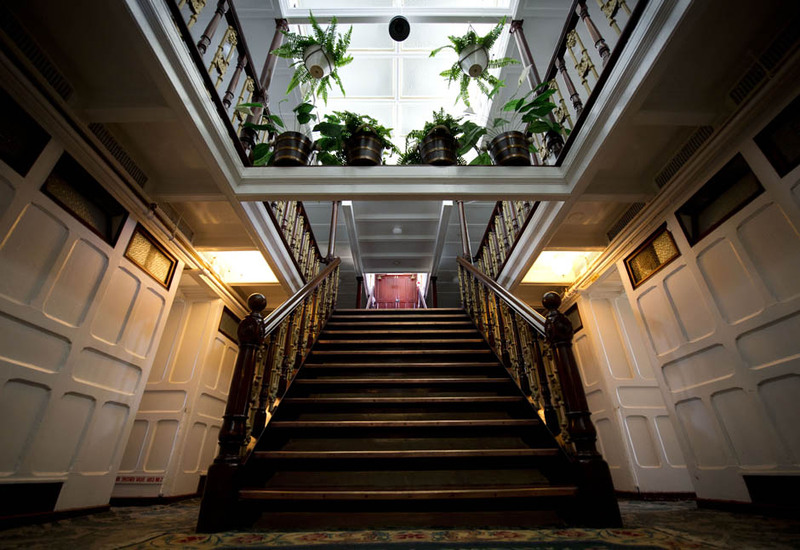 The presentation confirmed that there had been essentially no growth in the market, while prices have been dropping. At the same time, the market is changing. While a planeload a day no longer fly to their ships, an extra shipload is sailing from the UK every week. In the expedition sector, Lindblad Expeditions announced the acquisiition of Orion Expedition Cruises of Australia. 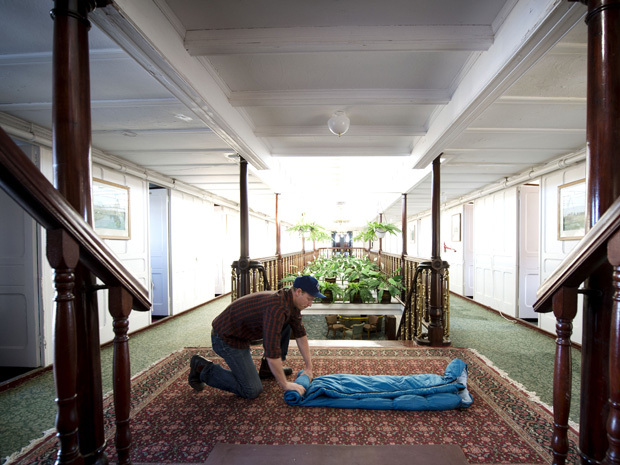 And New York-based small ship operator Travel Dynamics International is reviving the Great Lakes tradition of cruising to Mackinac Island, with a 4th of July cruise from Chicago in its 130-berth Yorktown. 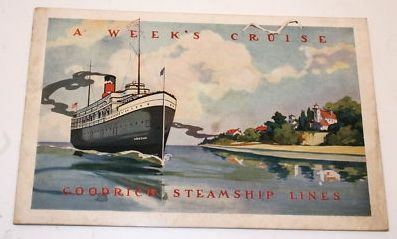 [brochure above, Goodrich Steamship Lines, cruising from Chicago to Mackinac Island in 1913]. The 28th edition of the Berlitz Complete Guide to Cruising & Cruise Ships has just appeared in Kindle format and hard copies will be available from next Monday. We look at some of the updates to this year’s issue, which now evaluates 284 cruise ships. Top-scoring ships include Hapag-Lloyd’s Europa, Cunard Line’s Queen Mary 2 in Grill class, the Celebrity Solstice class and of course the ships of Seabourn, Silversea, Crystal, Regent and Oceania – the latter an anomaly as its pay extra ships Riviera and Marina have somehow managed to outscore Regent’s all-inclusive Seven Seas Mariner and Seven Seas Voyager in all categories. And new designs to come next year? Europa 2, Norwegian Breakaway and Royal Princess (iii). Meanwhile, three out of the five-ship fleet of Classic International Cruises have been arrested in Marseilles and Kotor, while a fourth, the Princess Daphne, continues to trade for Ambiente Kreuzfahrten of Germany. We also look at how one major cruise agent has been able to stand up to the Carnival UK commission cut to 5% and even see a hefty increase in its profits while doing so. And finally, Mistral Cruises will be the new kid on the block in Croatia in 2014 with its 34-berth Mistral, which has until now been operating as the Callisto for Travel Dynamics International. The former Canadian Pacific Great Lakes steamship Keewatin is seen here at about 10:35 local time this morning passing under the Mackinac Bridge from Lake Michigan into Lake Huron. 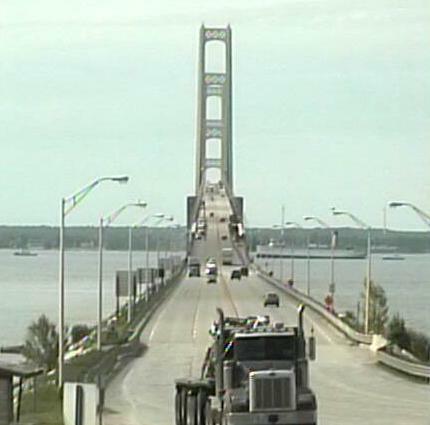 The 105-year-old Clyde-built steamship will lay over at Mackinaw City for a few days before completing the final leg of her return voyage to her former home port of Port McNicoll, Ontario, where she is due at 2 pm on June 23. This will be one hundred years to the day from when she departed on her first Canadian Pacific passenger sailing from the same port bound for Sault Ste Marie, Port Arthur and Fort William. The Keewatin will become the centrepiece of a waterfront park in her old home port on Georgian Bay. Here now are some of the results of that voyage: Photo essay of the Keewatin‘s voyage from Mackinaw City to Port McNicoll. For anyone wanting to cruise the Great Lakes in 2012 please contact The Cruise People Ltd in London on 020 7723 2450 for further details of cruises offered by Travel Dynamics International in the 138-passenger m.v. Yorktown, or e-mail cruise@cruisepeople.co.uk. Montreal’s 2012 cruise season, which starts this Saturday with the arrival of Holland America Line’s Maasdam at Alexandra Pier, will set a record: 55,500 passengers are expected to visit Montreal, up 46% over last season. 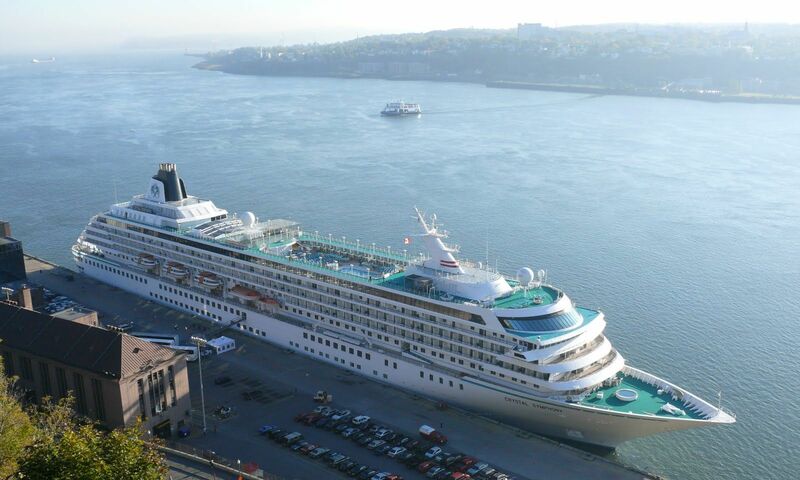 From May 12 to October 24, 2012, 49,000 passengers are expected to transit through the passenger terminal during 35 scheduled international stopovers, and a further 6,500 passengers will embark on domestic cruises, primarily for the Gaspé and the Magdalen Islands in the Gulf of St Lawrence. Pictured above is Crystal Cruises’ Crystal Symphony, which will operate a 7-night round-trip cruise from Montreal on September 30. “I am absolutely thrilled by these results that show a very promising future for Montreal’s international cruise industry as well as significant economic spinoffs for the city,” said Sylvie Vachon, president and ceo of the Montreal Port Authority, at a press conference held this morning at Iberville Passenger Terminal. Cruise lines calling at Montreal this season will include Aida Cruises, Blount Small Ship Adventures, Crystal Cruises, CTMA, Holland America Line, Oceania Cruises, Phoenix Reisen, Regent Seven Seas Cruises, St Lawrence Cruise Lines, Seabourn, Silversea and Travel Dynamics International. “The success of the 2012 cruise season isn’t a coincidence. Those involved in this rapidly developing industry have joined forces on the Montreal Cruise Committee and have established the success of this sector as a major priority,” said the Hon Charles Lapointe, President and Chief Executive Officer of Tourisme Montréal. Led by Tourisme Montréal and the Montreal Port Authority, the Montreal Cruise Committee brings together Aéroports de Montréal, the Board of Trade of Metropolitan Montreal, the Old Port of Montreal Corporation, the Hotel Association of Greater Montreal, the City of Montreal, Casino de Montréal and the Société de développement commercial du Vieux-Montréal. The committee is also supported by the Ministère du Tourisme du Québec. The 2012 cruise season should generate about $14 million in economic benefits. For more information on cruising to or from Montreal and Quebec as well as New England call The Cruise People Ltd in London on 020 7723 2450 or e-mail cruise@cruisepeople.co.uk.